A look at the visual blend of contemporary and classic that's trending in spirits brands from around the world. In an increasingly overcrowded craft beer market, the battle for 'shelf shout' has seen beer brands around the world turning to more and more eye-catching artwork, giving some great exposure to illustrators who would perhaps otherwise slip under the radar. This same artistic bravura has also crossed over to the spirits shelf, an area which hasn't perhaps seen the same youthful vigour that has disrupted the beer trade, but which has seen both brands new and old steer away from the usual minimalist combination of classic logo and vintage typography. 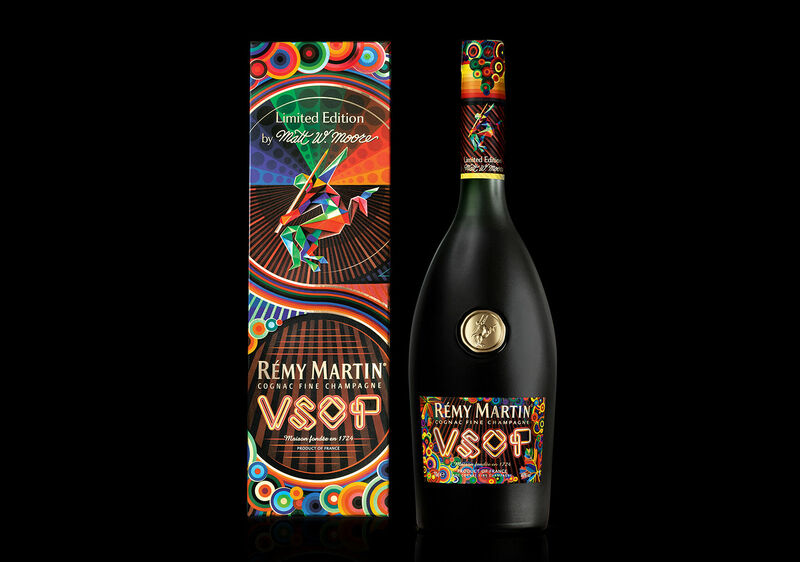 Recent months for example have seen cognac get the vectorfunk treatment from MWM (below), gin fly the Pride flag high, and new talents like Kim Sielbeck putting their bright and breezy mark on liqueur. That said, the overlap between the audience for spirits and craft booze isn't as strong as that between spirits and wine drinkers, according to Rowena Curlewis, CEO of drinks specialist design company Denomination Design. "There are a lot of similarities between the consumer of craft spirits and the highly involved wine consumer," she argues. "Both are hungry for information, actively seek out new and different approaches to the making of the product and want their brands to reflect something about them as individuals." 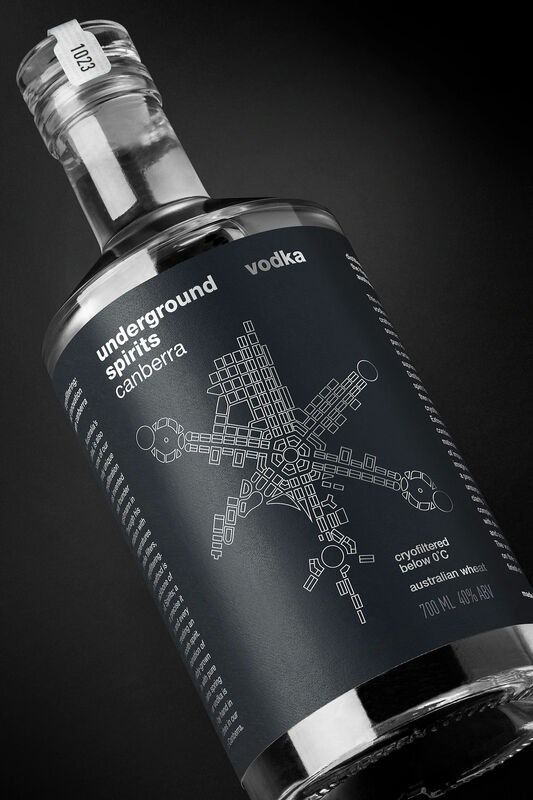 This need for knowledge is demonstrated on Denomination projects like the packaging for the Canberra-based Underground Spirits, a range of gin and vodka drinks whose USP is a sub-zero filtering process. Designed by Denomination, the packaging has detailed descriptions of the filtration method, along with a prominent featuring of the Canberra province to demonstrate its point of origin; like wine, the heritage or story behind a brand plays an important part of the consumer decision process. As Canberra is not known for its drinks industry, an illustration of the province gives it the identity needed in the consumer's eye. That the illustration of the city is a plan view in the shape of a frost icicle shows not only the edgy, contemporary style usually associated with craft brews, but also the spacious 'playing field' offered by spirits packaging. 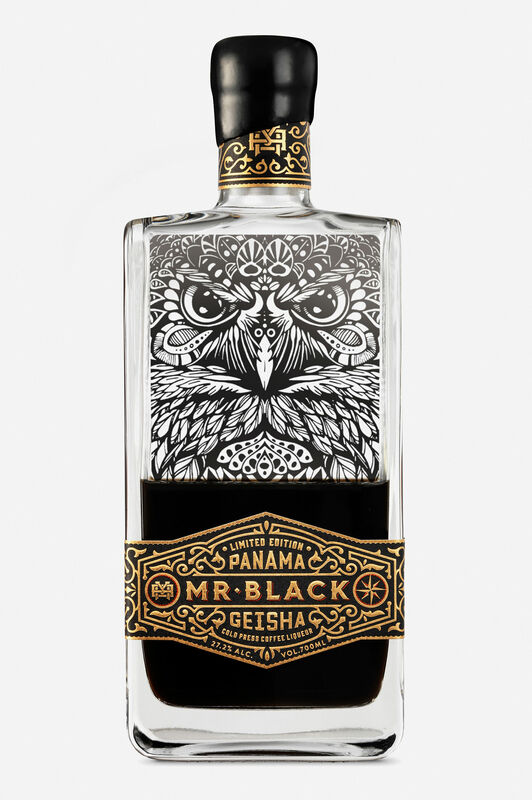 "In terms of the label covering most of the product, it is a distinct advantage of many spirits bottles that they have a large label panel area that can be utilised," Rowena agrees. "Unlike wine, in which the label panel areas are much smaller – especially on premium burgundy bottles where they are a quarter of the bottle – the typical spirit bottle affords us a larger canvas with which to play on." 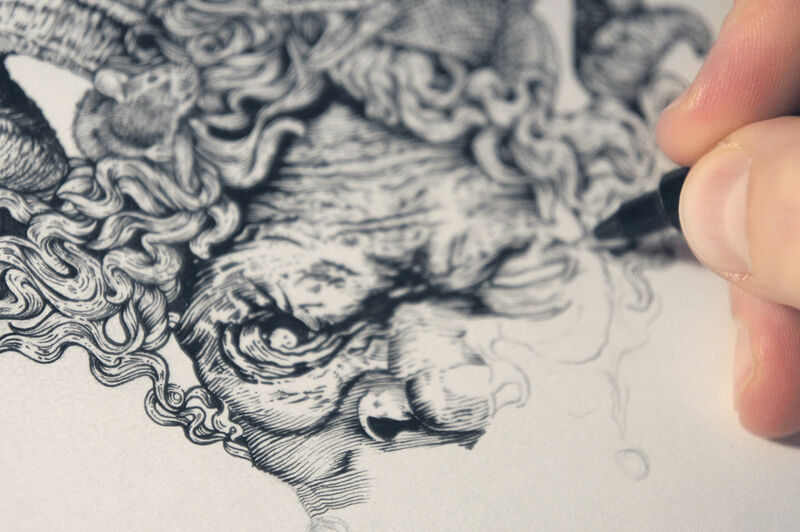 An expert on playing with canvases is the London-based Greg Coulton, whose prestigious pencil work has been seen on Jameson packaging and cold-pressed liqueurs from Mr. Black. 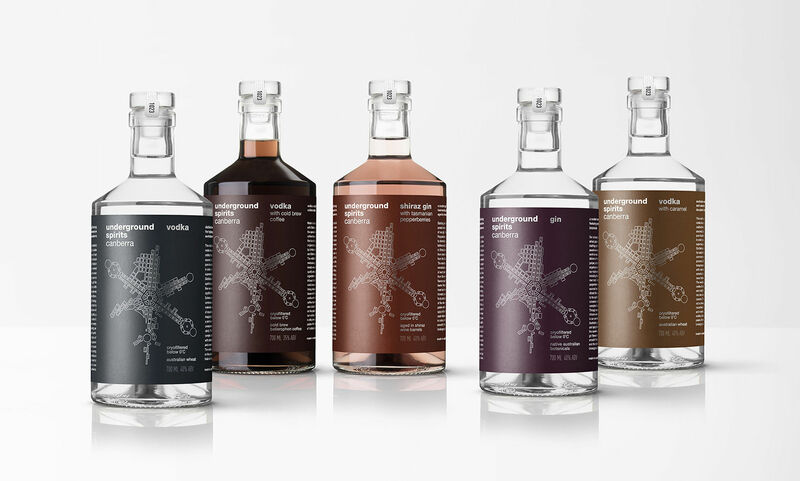 Explaining his work's popularity with spirits brands, Greg believes that the "care, craft and attention to detail is the key USP with almost all spirits brands currently, which fortunately echoes with my style of work," which is why he tries to retain a hand drawn aesthetic with such projects. 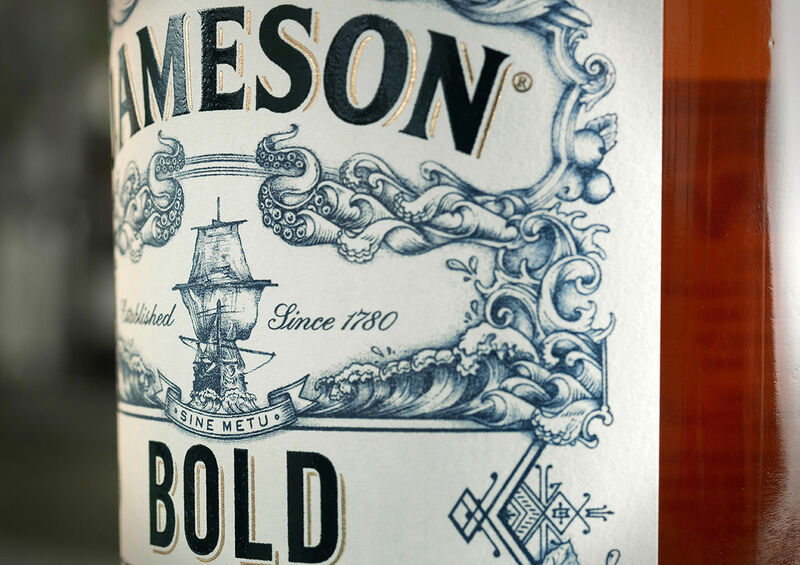 Denomination's Rowena finds this attention to detail is the essence of spirits packaging, heavily reliant as it is "on crafted typography, considered messaging and production embellishments." "The embellishments are visualised, the copy carefully written, the typography refined and the idea sensitively executed," she explains. "I often have to tell a story and infuse it with an idea of craft," Greg adds. "I can do this by actually showing images of detailed craft taking place, or through the medium in which the images are created, be it super fine detail done through complex or traditional techniques." "‘Shelf appeal’ is very important in such a crowded and competitive sector, so trying to do something unique and eye catching is a must," Greg believes. "Often I receive briefs asking me to take a traditional visual style and reinterpret it with a contemporary twist, which is obviously challenging." The drive for shelf-appeal though doesn't mean sprit brands are simply topping off their base with the intoxicating buzz of a bright new mixer; older brands still need to preserve the very heritage that keeps them as respected names on the shelf. "We believe we should always be respectful of a brand’s heritage, although not necessarily remain tied to the past," Rowena stresses. "When redesigning a brand we need to be cognisant and sensitive to those assets that a consumer recognises, and potentially loves, so that we don’t 'throw the baby out with the bathwater'. When we make changes to a brand, we need to make sure that we are improving the design and storytelling, and not creating change for change’s sake." Rowena notes this delicate balancing act finds another layer of complexity when historical brands begin to reposition to other markets. "In this global economy where consumers can easily 'google' their brand, we believe it’s ideal to have a uniform look globally. This can be challenging, especially with global brands that have developed different brand positionings over time that are specific to a region. My advice to brand managers is to always try to keep the brand positioning and story the same in all markets to avoid these challenges in the future." 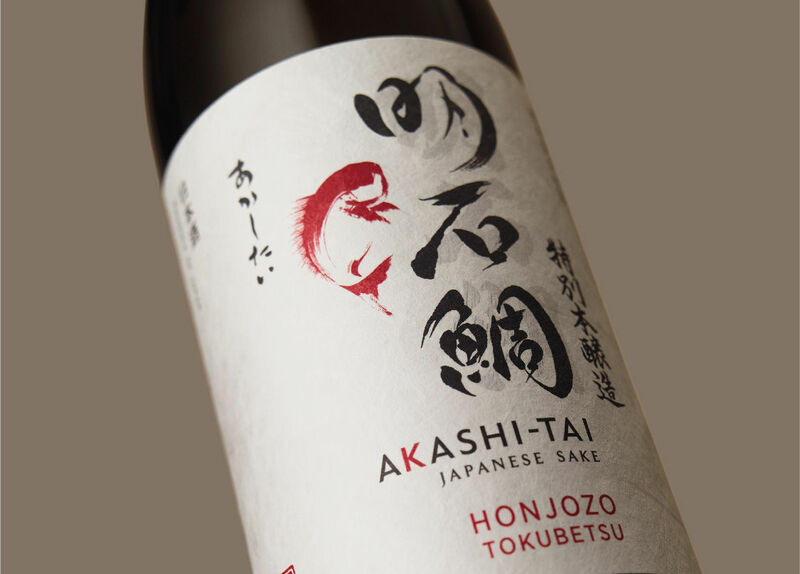 A recent successful example of this from both an artistic and commercial point of view is the recent redesign from Japanese sake brand Akashi-Tai. In aiming to both the keep brand's credibility in Japan whilst engaging new audiences in emerging Western markets, Akashi-Tai teamed up with agency Cowan London to work on the global packaging for its five flagship products. While sake isn't a spirit drink, the end results are in-keeping with the expectations and trends already discussed - printed on Japanese paper, the labels project an artisan image of authenticity, with expertly applied calligraphy and a 'premium' redesign of the brand's signature fish logo, turned from a cartoonish character into a similarly inky figure. The end result is a design that according to the brand "perfectly balances Japanese purity with an iconic and visually powerful aesthetic that will appeal to the Western eye." The consumer's eye, whether Western or not, is a discerning one, and one that is defining the look and feel of spirit identities today. While craft beer plays it loud, and wine players keep things subtle, spirit brands are somewhere in-between, utilising illustration work and authentic typography to keep things both fresh and feted. The battle for shelf-shout is a stiff one, but an intoxicating cocktail of visual ingredients nonetheless.